Knit By God's Hand: No fighting.... Serenity Now!!! Every time I hear the words, "No Fighting" I think of the song by Shakira. Hip's Don't Lie - Probably the only Shakira song I know. I don't like to fight... even with all my years of Kung Fu training...but it seems like I like to argue. 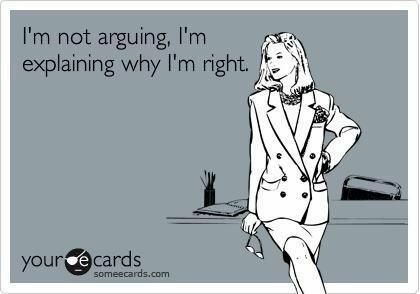 Well, I don't think I like to 'argue' as much as I like to make sure everyone knows I'm right. Someone made a comment to me the other day & I had a come back instantly. I told Ricky later, they didn't know who they were dealing with... I think he said something like "Amen".... But I could argue all day if I believe in a point. The funny thing is, so can Ricky. Which means we have some arguments, heated discussions, "talks" all the time about things we disagree about. Which is usually everything. Last night, we were playing darts on our Xbox Kinect... its our new obsession. But I beat him the first round, which means, of course, we have to play again. We are some competitive people... Ricky wins in the most competitive of the two of us. I can say, 'good job' & walk away... I don't think that's something he can do... at least not easily. When we started the 2nd game, Ricky said, "It all depends who goes first. They have the advantage to win"... note, I went first the first game. So he was saying I had a better advantage? Me thinks not. I just played a better game. Accept it. I wont go into all the details, but it involved a lot of word problems & math & trying to get the other to LISTEN to the other persons point. Much in the same way George Costanza's dad screams "Serenity Now"
Doing the She Reads Truth study this past few weeks on Titus, in Chapter 3, it talks about how 'useless' arguing is. Especially over petty arguments. - but then be done with him. Its so easy to argue about anything. From small things, like a dart game - to big things. Things we really care about. I love that this verse lets us have some leeway in arguing. Try to make our points a few times, but if it gets no where, walk away. I'm going to keep Titus 3:10 close in my pocket... if you ever hear me throw it out & walk away, you know I'm done arguing with you... because God says so... BAM! This is my hubstir and I to a tee... try so hard to understand why the constant back and forth? Well, try no more... I am now armed with Titus 3:10, and I will have to say "Bam" a little louder as I exit. He is going to be so puzzled :-) Oh Snap! I will take Chris down at all costs...and he knows it! ;) Love that verse...definitely need to tuck it away for future reference! 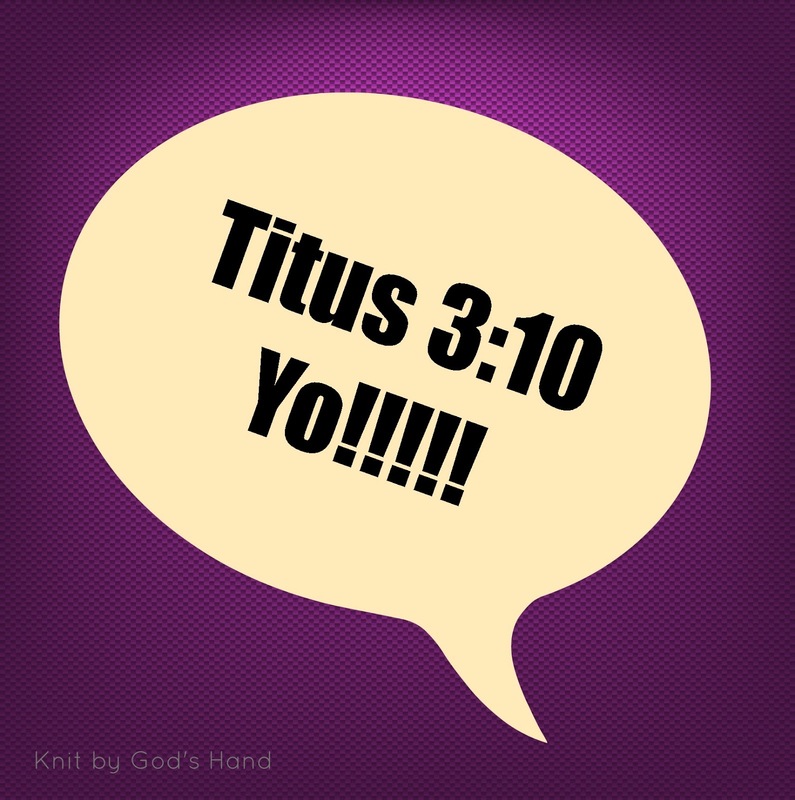 Titus 3:!0 yo! is now in my arsenal!!! Oh my, I can so relate! Titus 3:10!! Yep, I love it!